I love grilled pineapple. I also like ice cream even though I eat much less sugar these days. 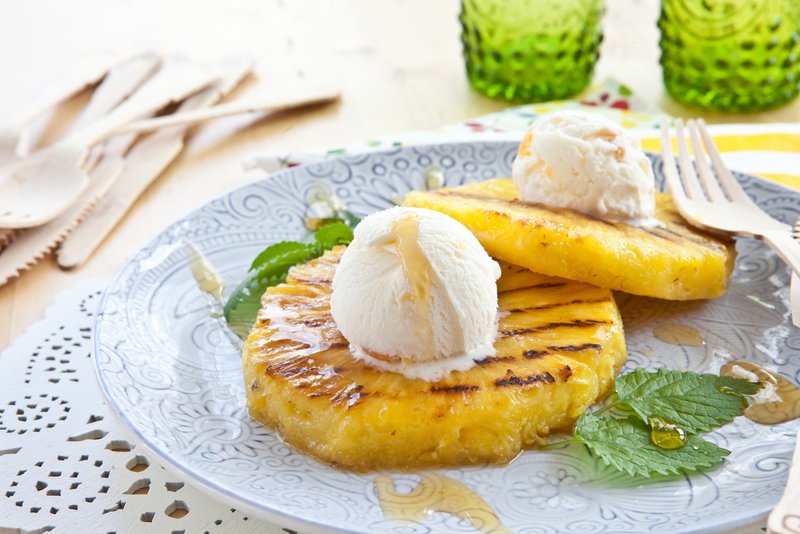 This grilled pineapple and vanilla Ice-cream dish combines both nicely. I will not only make a delicious and tasty dessert, but will look beautiful on the grill as well. It is perfect for an easy summer dessert and is a unique way to use your grill. 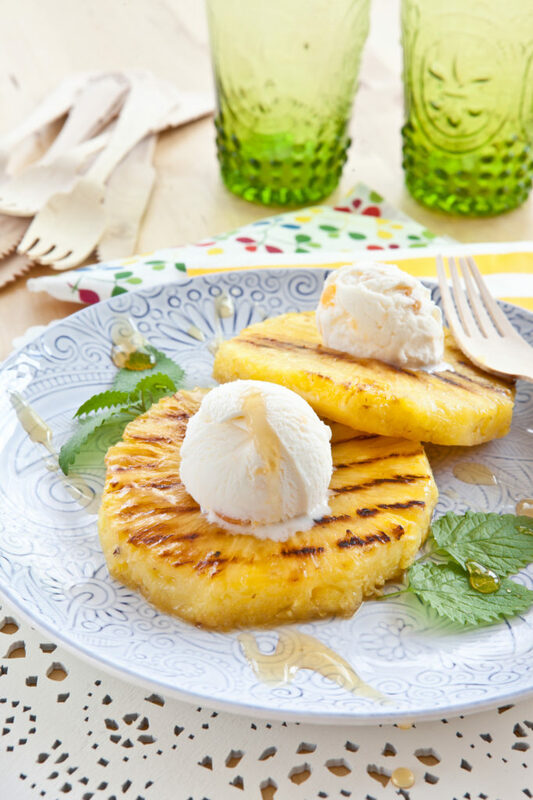 Easy and simple to make, a scoop of vanilla ice-cream served over grilled pineapple with a cream sauce makes a wonderful and luscious dessert. This recipe is flexible. It makes a simple butterscotch sauce to add on top. You can buy that remade if you want to simplify things. For a less sweet dessert, grill the Pineapple without sweetening it first. 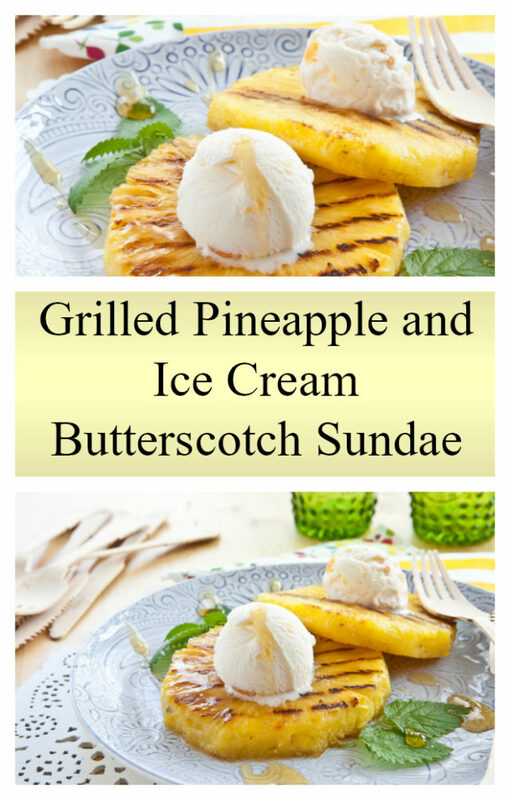 Combine the chill of an ice cream sundae with warm butterscotch and grilled pineapple for a delicious treat. Heat up your grill to medium and oil the grate. Heat a saucepan over medium and add the butter, sugar and nutmeg. Stir untill the sugar dissolves. Take a brush and apply the butter mixture to the pineapple slices. Grill the pineapple for about 5 minutes per side. Add the remaining butter back to the stove over medium heat. Mix in the brown sugar and heavy cream. Stir well. Bring the mixture to a boil. Keep stirring. Remove it from the heat and stir in the vanilla extract. Serving size: ⅙th of recipe Calories: 388 Fat: 21 g. Carbohydrates: 52 g. Sugar: 43 g. Sodium: 164 mg. Fiber: 3.4 g. Protein: 3 g. Cholesterol: 64 g.